At the moment I’m reading A Small Town in Germany by Len Deighton for the 1968 Club which has been organised by Simon at Stuck in a Book and Kaggsy’s Bookish Ramblings. This week came around far too quickly for me, I had intended to read a few books for it, but here are a few that I’ve read previously. It’s an eclectic mix I think you’ll agree. I hope to have A Small Town in Germany finished soon. 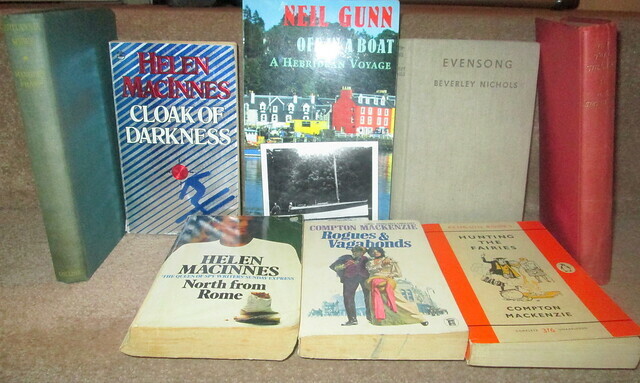 For some reason I never gave any thought to the book buying possibilities in Orkney, but as we were driving around Kirkwall looking for a place to park I spotted a sign saying those wonderful words – Secondhand Books. Luckily after visiting the town centre, Saint Magnus Cathedral and two Historic Scotland properties we were able to walk back to the car and find the bookshop not too far away. So my haul was. Six of them are by Scottish authors so they’ll come in handy for the Reading Scotland 2017 Challenge. 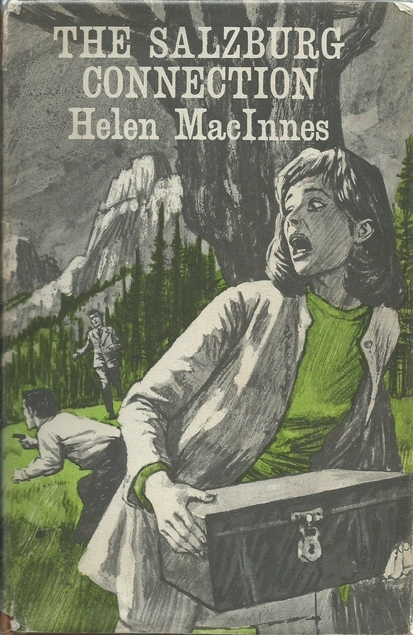 The Salzburg Connection by Helen MacInnes was first published in 1968. I remember reading some books by the author way back in the 1970s but haven’t read any since then, after reading this one I’ll have to track down as many others as I can because this was a really great read with loads of twists and turns. It’s set some twenty-one years after the end of World War 2 but there are Nazis still around, they’ve been searching for things that had been hidden by them at the end of the war. There’s a bit of a race on to track down and recover a metal box which it’s thought has been hidden in a lake called Finstersee which is surrounded by the Austrian alps. Several such boxes have been found over the years, the Russians would also like to get their hands on this one, although what it might contain is a mystery. This is a Cold War setting with spies and double agents galore – a great read. Helen MacInnes was born in Glasgow and went to Glasgow University where she got a degree in French and German before going on to get a diploma in librarianship at London. During her librarianship career she chose the books for libraries in Dunbartonshire, which happens to be where I worked in libraries, but she was there decades before my days there. Her husband was a British agent for MI6 and no doubt his experiences helped to fuel her imagination for espionage. Her second book Assignment in Brittany (1942), was required reading for Allied intelligence agents who were being sent to work with the French resistance against the Nazis. Four of her books were made into films. Later in life she and her husband moved to the US.